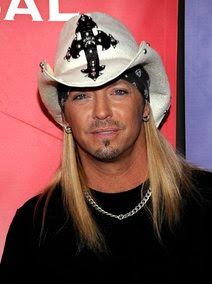 Celebrity Extra: Bret Michaels Has "Warning Stroke"
Bret Michaels Has "Warning Stroke"
LOS ANGELES — Bret Michaels is receiving outpatient care after being hospitalized for what doctors called a "warning stroke." His publicist, Joann Mignano, gave no other details Friday in an e-mail to The Associated Press. Mignano had earlier confirmed that Michaels suffered what doctors call a "warning stroke" and has been diagnosed with a patent forum ovale, or hole in the heart. The 47-year-old rocker-TV reality star was hospitalized after experiencing numbness on the left side of his body, particularly in his face and hands. UPDATE: A rep for the rocker told E! news that Bret intends to appear on the live finale of The Celebrity Apprentice.